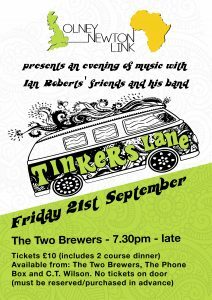 Come and join us for a brilliant night at the Two Brewers Pub in Olney (34 High Street). 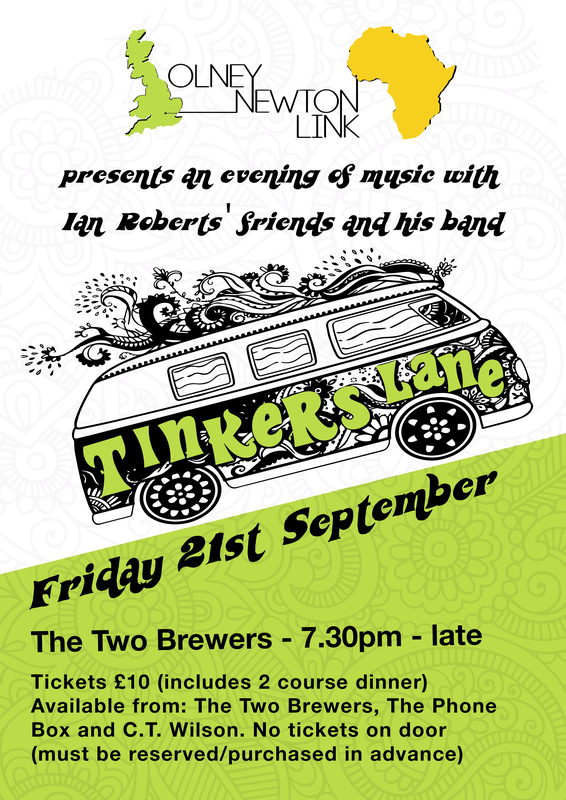 Tinkers Lane is a six-piece band playing the original songs of singer/songwriter Ian Roberts. Ian’s catchy tunes embrace the joy of life, the bitterness of death, the flaws of society and the redemptive power of love. Tickets are £10 and include a two course dinner. They are available from the Two Brewers, Phone Box and CT Wilson. Note: tickets will not be sold on the door and must be purchased in advance.